Anxiety, depression, suicides. The numbers are rising among our young people and parents are feeling so helpless about what to do. How much does school and testing and lack of downtime contribute to such stark statistics? 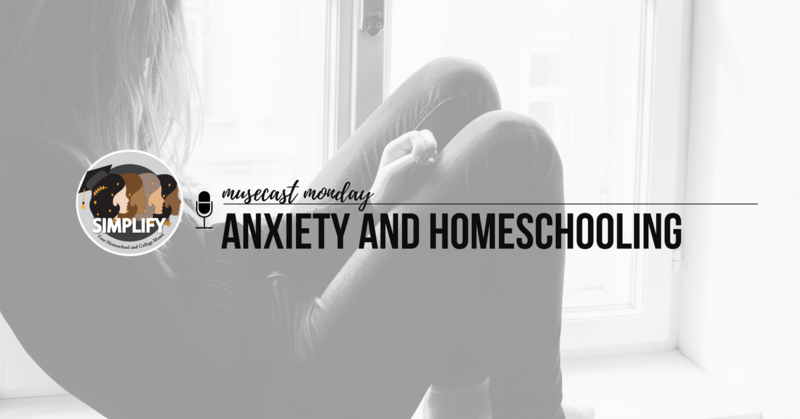 What can we do to help our homeschooled kids who deal with anxiety? Join Farrar, Suji, and Jill in this honest conversation about our own experiences dealing with anxiety and depression and how, although we are not medical experts, we’ve found some success in parenting and homeschooling with anxiety. how homeschooling helps with anxiety. how much do we shelter or protect kids with anxiety. worrying vs experiencing life and feeling in or out of control. role modeling failure for perfectionist kids. breaking things down to help reduce anxiety. when to push and when to back off. Interested to learn more? Try a Simplify parent circle or continue the conversation on our Facebook Group, College Confident Homeschoolers (CoCoH).